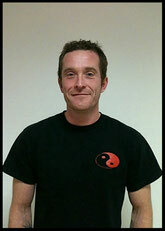 I have been practicing Wudang Tai Chi Chuan since 1992 and taught as a full-time instructor from 1999 under my teacher Dan Docherty - Chief Instructor and founder of Practical Tai Chi Chuan International. I have a direct and open teaching style and promote Wudang Tai Chi Chuan as a effective martial art for self defence and exercise system for students of all ages within my school Practical Tai Chi Brighton (PTCCB). Practical Tai Chi Chuan International.